The doctors and staff at OHC treat nearly every form of adult cancer and complex blood disorder with a wide range of services, state-of-the-art treatments and technologies. At OHC, we will discuss with you your specific life circumstances and together decide your best options for care. Click on a service in the drop-down menu to the left for more information or call us at 1-800-710-4674. In the Tri-State, only OHC is curing brain cancer using Gamma Knife technology. Gamma Knife allows our doctors to deliver radiation to a brain tumor to destroy the tumor cells while causing little or no radiation damage to the surrounding normal tissue. Gamma Knife is not a knife and involves no cutting. It involves precision and radiation. It doesn’t require an incision so there are none of the risks associated with incisions and anesthesia. It requires only one treatment, and that usually takes 10-60 minutes depending on the individual case. It works. There is evidence that treatment of certain malignant brain tumors with Gamma Knife surgery can increase a patients’ lifespan and improves quality of life. OHC radiation oncologists as well as highly specialized brain tumor surgeons with Mayfield Brain & Spine are affiliated with the Brain Tumor Center at The Jewish Hospital – Mercy Health providing comprehensive, state-of-the-art care. 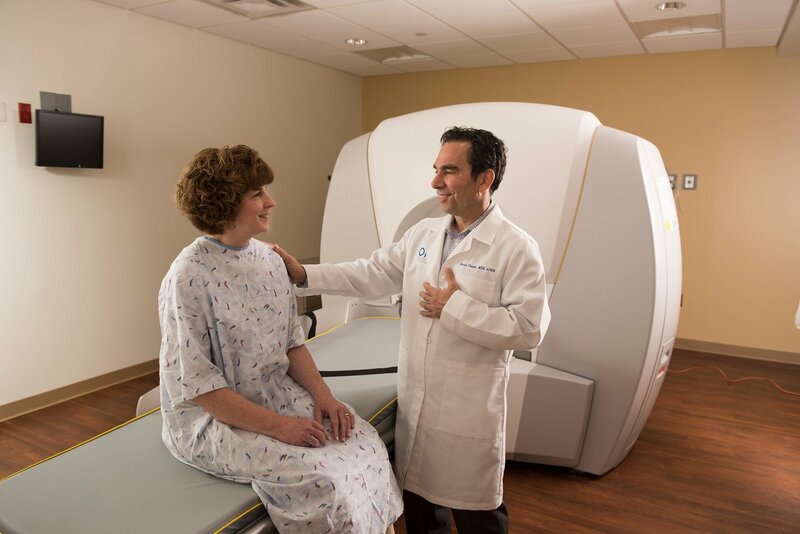 The Brain Tumor Center includes the region’s only Gamma Knife® ICON™ radiosurgery program, with which OHC has treated more than 850 patients, giving them new hope and a vastly improved quality of life. In some cases, patients experience improvement within days of the procedure. To learn more about Gamma Knife, you can read our blog, Giving Hope to Patients with Brain Tumors, or call us at 1-800-710-4674 and we’d be happy to schedule an appointment for you to speak with one of our doctors.